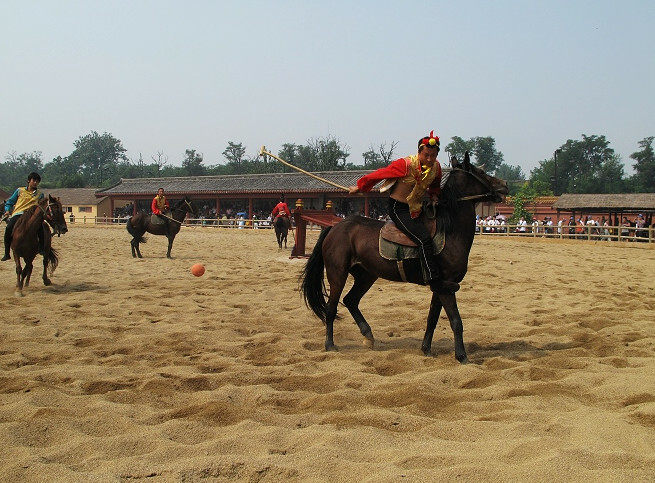 Located in Kaifeng of Henan Province, QingmingRiver Park is one of the most successful theme parks in China that makes history come to life, as well as one of the Chinese National Treasures. The famous painting Picture of Qingming River Park is the masterpiece of Zhang Zeduan, who was a very famous artist from the North Song Dynasty. 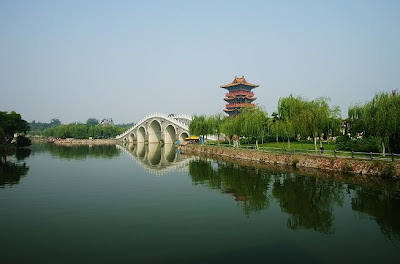 Along the River during the Qingming Festival is a panoramic painting. It captures the daily life of people and the landscape of the capital, Bianjing (today's Kaifeng), from the Song period. 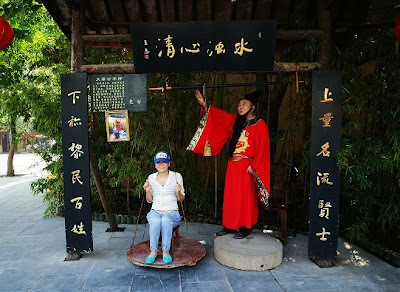 The staffs in the park are all dressed in traditional Han clothing and there are many kinds of houses and pavilions featured Song Dynasty architectures. There is the actual performance of Song Dynasty-Dongjing Menghua every night, amazing. The main buildings of Qingming River Park include Rainbow Bridge, stores of Song Dynasty, river way, docks and pawnshops.There are lots of interesting things to do in Qingming River Park.